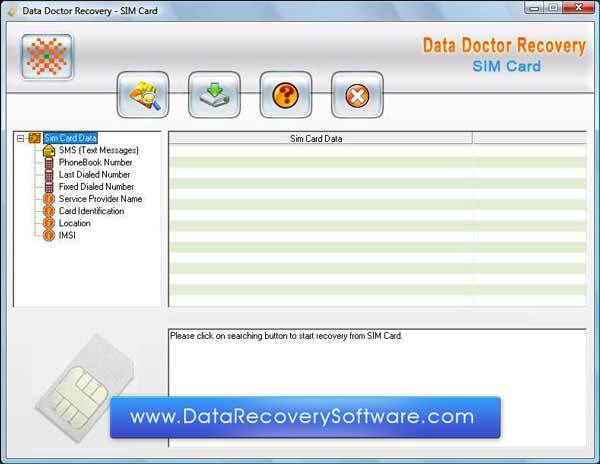 Download affordable Data Recovery Software for Sim Cards from datarecoverysoftware which is able to restore fully corrupted files from accidental damaged cell phone sim cards. You want to restore logically formatted files from USB sim cards? If yes, then download Data Recovery Software for Sim Cards from datarecoverysoftware which facilitates to retrieve text messages at affordable cost from mobile phone sim cards which damaged due to human mistake and other data loss reason. Advance sim card recover tool provides easy way to restore your virus infected mobile phone sim cards files without any loss.